It’s easy to find the Easter egg. 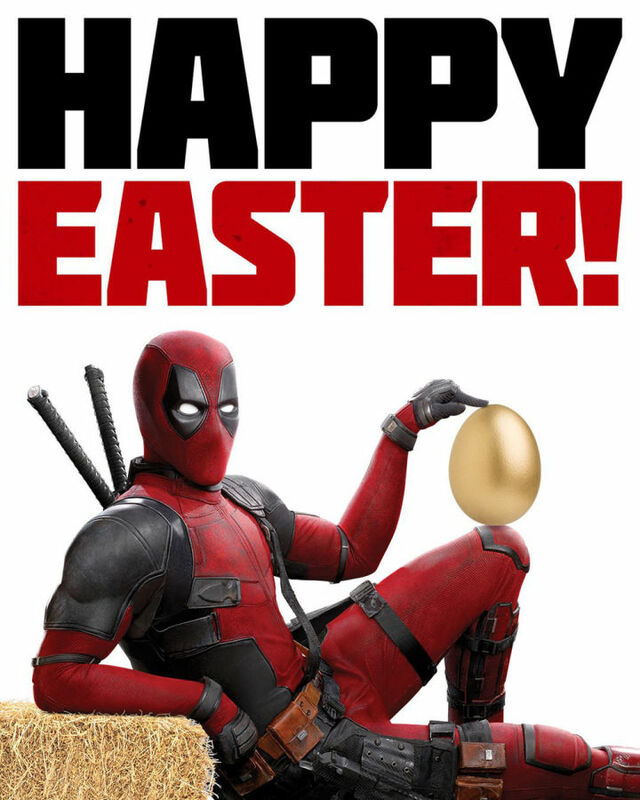 A new Deadpool 2 poster celebrating Easter has been released. New Deadpool 2 poster, via GeekTyrant. Deadpool 2 opens in theaters on May 18. A variety of posters for the highly anticipated sequel have come out leading up to the film’s release. Check out the new international poster featuring Deadpool giving Cable (Josh Brolin) a wet willy, a poster that pays tribute to the classic 1983 romantic drama Flashdance, and last year’s Thanksgiving-themed poster. Alongside Reynolds and Brolin, Deadpool 2’s cast includes Zazie Beetz (Domno), Morena Baccarin (Vanessa), Brianna Hildebrand (Negasonic Teenage Warhead), Stefan Kapicic (Colossus), and Leslie Uggams (Blind Al). While you patiently wait for Deadpool 2 to hit theaters, find out which X-Force character Terry Crews is playing and be sure to check out IGN’s comprehensive breakdown of the X-Force.